A Complete Guide to Closing Costs. via A Complete Guide to Closing Costs. 1) FHA– 3.5% of the purchase price is required for a down payment. The 3.5% down has to come from buyer funds or a buyer’s family member as a gift. 2) VA- No money down required. You have to be a veteran, spouse of deceased veteran, or active duty military to qualify for a VA loan. 3) USDA (aka Rural Housing)- No money down required. 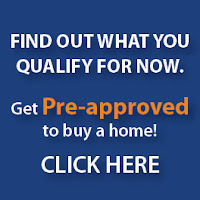 You have to purchase a home outside of Jefferson County and buy in an approved USDA county. Typically, most of the counties that surround Jefferson County are approved for USDA. 4) Conventional- As little as 5% down payment is required. 20% down payment might be required if the borrower/buyer has a lower credit score. When putting personal money down along with gift money on a conventional loan, the buyer must have 5% personal funds verified before any gift funds can be received. Gift funds can be used on top of the 5% personal funds to increase down payment or contribute to closing costs. The only exception to this rule with a conventional loan would be if the buyer is getting a 20% gift. If the buyer receives a 20% gift they would not be required to provide 5% of their own funds. Kentucky Housing recognizes that down payments, closing costs and prepaids are stumbling blocks for many potential home buyers. Here are several loan programs to help. Your KHC-approved lender can help you apply for the program that meets your need. Borrowers must meet Affordable DAP Household Income Limits. Government shutdown hits mortgage market – wave3.com-Louisville News, Weather & Sports. via Government shutdown hits mortgage market – wave3.com-Louisville News, Weather & Sports.